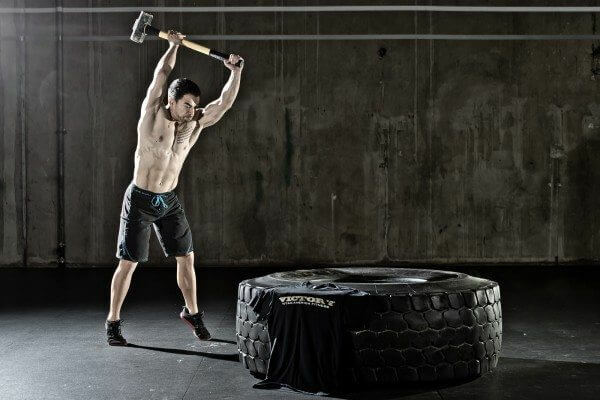 What is CrossFit Training…and Why Should You Try It? Discover why crossfit training has become so popular, and what it can mean for you. Take your fitness to the next level and build an amazing body. The fitness craze has hit the world and it’s hit it hard. Everywhere you look you see people jogging, walking and cycling. People purchase gym memberships to lift weights or take one of the myriads of aerobic classes offered at the gym. Another popular form of working out is CrossFit. This article will define CrossFit training, give examples of some CrossFit workouts and give comments from CrossFit enthusiasts and critics. CrossFit is an innovative way of training that was developed by Greg Glassman and Lauren Jenai in the year 2000. This form of training attempts to improve overall physical fitness through a series of exercises performed at high intensity. CrossFit training strives to take functional movements and ramp up the intensity of these movements so that the athlete will be able to experience a broad adaptational response that translates to improved performance in sports and everyday activities. CrossFit has become a hugely popular workout option. 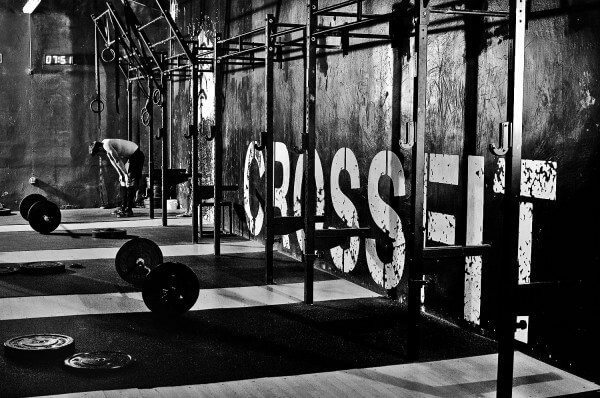 The goal of CrossFit training is to help athletes excel in 10 different areas of physical fitness. CrossFit training helps athletes improve in these areas: Stamina, cardiovascular endurance, flexibility, strength, power, coordination, speed, accuracy, agility, and balance. This form of training has been touted to help increase the physical performance of military personnel, firefighters, athletes, and fitness enthusiasts seeking to engage in more challenging workouts. The variety of ways to train with CrossFit are endless. CrossFit workouts are called WOD’s (workouts of the day). These WOD’s can be done with just bodyweight exercises, barbells, dumbbells and kettlebells or by combining strength training exercises with cardio exercises. You’ll really put your strength and stamina to the test with this CrossFit workout. It involves running, pushups, pullups, and bodyweight squats. If you’re ready this and thinking that this workout will be boring, keep reading. In this workout, you’ll condition your cardiovascular system by running a mile. After running a mile, you’ll annihilate the muscles in your back, shoulders and biceps by doing 100 pull-ups. The next part in this circuit involves you doing 200 pushups. You’ll build muscles in your chest, shoulders and triceps. At this point, your muscles will be screaming for mercy. ​With pullups and pushups, you work all the muscles in your upper body as well as your abdominal muscles. But your workout is still not complete. You continue this workout by performing 300 bodyweight squats. Squats work all the muscles in your lower body including your quadriceps, hamstrings, calves and even your gluteal muscles. You can do an incredibly powerful muscle building workout routine with barbells. This workout combines deadlifts, power cleans and bench presses. You’ll do 3 giant sets in this routine. he weight for power cleans will be three-quarters of your body weight and the bench presses are done at body weight. Even though this routine only involves three exercises, you’ll feel like you just got hit by a truck, but you will build muscle. One CrossFit enthusiast states that he started performing CrossFit routines 2 days a week to improve his performance in basketball. He saw improvements after 2 weeks and a month later he added 2 inches to his vertical jump. His vertical jump remains the same height throughout the entire basketball game. Another enthusiast comment on the variety of exercises and the camaraderie that exists between CrossFit enthusiasts. He feels that CrossFit challenges him in different ways than working out with weights do. One critic of CrossFit found that it didn’t help him at all during basic training in the army. He claimed he lost muscle mass with CrossFit and it also increased his time on 5-mile runs. CrossFit training is versatile, functional and tons of fun for lots of people. It can be done with bodyweight exercises, strength training equipment or both. You can love or it you can hate CrossFit training, but it works for a lot of people and it’s here to stay.